The daily pleasures of teaching four wonderful little people about God's grace... and math, reading, history, and science as well.......while attempting a peaceful, well-kept home. 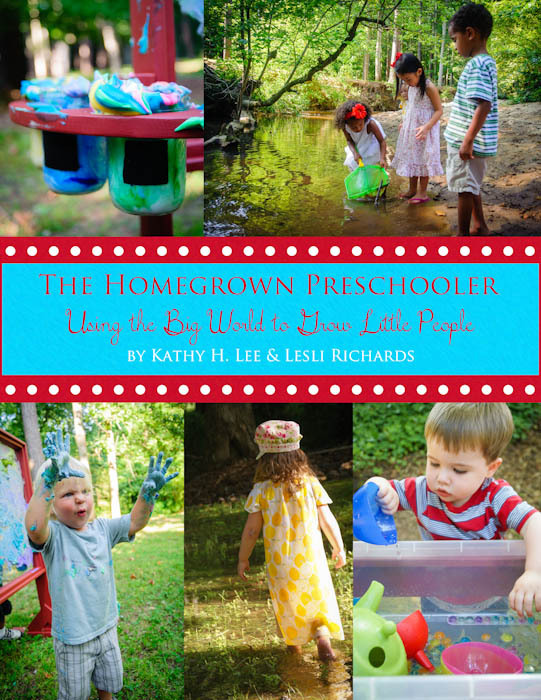 This site is meant to provide a window into our life and provide encouragement to those drawn to the homeschooling lifestyle. Yes, it truly has been over two years since I wrote on my blog. Very sad. I can't decide whose fault it is, but I'm pretty sure that the blame lies equally between Rosalie, Pinterest, and Facebook! I'm trying to spend time doing important things...of the above three distractions, Rosalie is the only important one! I'm not swearing off Pinterest and Facebook, just determining to use them as tools, not time fillers. In my humble opinion, blogging is important because it provides a written record of our life as a family, it offers a way for a me to encourage other moms in schooling and homemaking, and it is an important tool for an author to test out material and ideas for future books. I am officially an author. Or a co-author, actually. Kathy Lee and I wrote a great book, called "The Homegrown Preschooler" due out in April of 2013. Yesterday, I received the first edits from the publisher. They had already attached that first page, with all of the copyright info....I got a little thrill from seeing my name and "Library of Congress" on the same page. Thankfully, they didn't hack it up too bad, and we will be sending it back with corrections in the next few weeks. Here it is with it's tentative title/cover that we made up. Titles and Covers are marketing driven, and decided by the publisher and distributor, so I don't plan on it looking like this, but this is what it would look like if I was choosing! So after all the summer fun of getting the book ready to go, it's time to plan my 9th year of homeschooling. I cannot believe it has been so long! It seems like yesterday that we ordered our first box of Sonlight. Stay tuned for tomorrow's post where I leap to the other end of the spectrum and blog on how we do high school in our home! Just too busy watching hilarious baby tricks, but generous enough to share this one with you! 1. Using Hymns for a Kid's Heart I will teach them the first verse "O For A Thousand Tongues to Sing". I will tell them the story of Charles Wesley...that he had 18 brothers and sisters, was homeschooled, and wrote over 6000 hymns. We will all sing together and sound awesome. I will be incredibly entertaining and hold their attention, especially when I tell them my new joke: "When is it okay to sing with your mouth full? When your mouth is filled with praise!" They'll love it. child one: still feeling slightly sick, no voice, sat glumly at the table with arms crossed. child five: fills the air with something other than song, if you know what I mean. 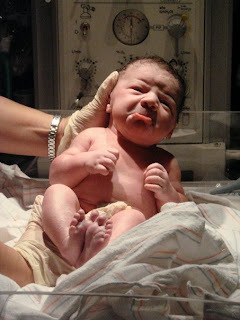 - which means I have to change the diaper, so I risk losing everyone from the table. but I tell myself "That's okay....first day is always rough. Satan does not want these kids praising God. I have to soldier on. Tomorrow will be better. So onto item 2 on the agenda." 2. Using Your Child and The Bible by Rick Osborne I'll teach them why the Bible is the most important book. I'll teach them the God has breathed life into the bible, and that it is useful for teaching us what is true, correcting our mistakes, making our lives whole again, and training us to do what is right. I'll let them read Joshua 1:1-9, and print off great coloring pages and worksheets from this great FREE resource. All children will be refreshed and leave the table with a renewed passion to study the word of God. Okay, I was pretty sure this would not happen, but a mom can dream. Child 3: passionately raises his hand every 30 seconds and regurgatates every bible lesson he's ever heard that is completely unrelated to what we are talking about. And I thought he wasn't listening. Child 4: colored all the pages before everyone got to the table. Hummed to herself during entire bible reading seriously irritating child 2 who was doing the reading. shouldn't have eaten onions yesterday on my salad. nurse, cry, repeat. After all of this, I pull out a surprise present for Child 1, a new grown up bible study to do on her own without the little siblings. I tell her I'll do the breakfast dishes and send her up to her quiet room to have what I imagine will be a wonderful quiet time with God that will completely turn her attitude around, allowing for smooth sailing for the rest of the day. Due to preteen hormones, the slight prompting of the Holy Spirit during her study showed her that she was probably a little harsh on child 2 this morning, which sent her into a sobbing fit that resulted in her wearing herself out and falling asleep on the couch. Somewhere in all that there was also a broken plate and a cat poop in the closet. Ick. Be strong and courageous. Do not be frightened, and do not be dismayed, for the Lord your God is with you wherever you go." Thanks God, that you know homeschooling 5 little kids is not for the faint of heart...you know I need encouragement to stand strong and keep going when it doesn't come easy. You know that I fear I'll never measure up to the standard I have set for myself, and tell me to not let that get me down, because you are with me. Maybe the lesson today wasn't for them, but for me. Pregnancy always seems to derail my quiet time....first the morning nausea makes it hard to focus, then the discomfort and lack of sleep that comes from being ever so large makes it hard to beat the kids out of bed. Thankfully, once the babies are born, I tend to have an unusual amount of energy despite the lack of sleep. I usually get up after the early morning nursing, at 4-5am and have a quiet time. 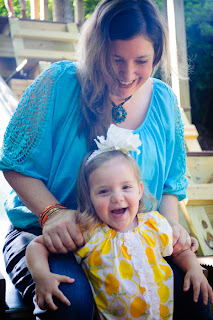 This has been the pattern with all my babies, and I look back on those times as "spiritual sprints" where God has allowed me to have more extended times of quietness with him. Seeing as this is most likely the last time I will pass through this baby-early-waking season, I want to make the most of it and try to make early waking a habit that is not dependent on a hungry baby...but dependent on a hungry mommy, needing God's word as nourishment for her soul. I thought I would share some of the tools that I am using this time around. I use Tapestry of Grace for our school curriculum. The author, Marcia Sommerville, is very concerned about nourishing the moms who are teaching, as well as the children. 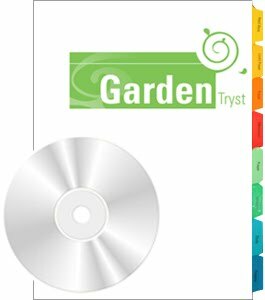 She has developed some tools that she sells on a CD called Garden Tryst. There is a teaching CD, as well as a CD of printable forms you can use to make your own notebook. It is very reasonably priced at 10.00 and can be purchased here. You can read about what is included in this article. I'll give you a little run-down of how it works for me. I wish I could show you some sample pages, but I'm afraid I would be violating her copyright. Our church has a bible reading plan that I use for scripture reading, and this dovetails perfectly with Garden Tryst. Every day there are two readings from the New Testament, and two from the Old Testament. The first section of my daily pages in my notebook give me space to journal about these readings, and talk to God about what I am learning. Then there is a section for me to focus on the attributes of God, and praise and worship him based on the aspects of his character he is revealing to me at that time. Then I move on to my least favorite part....dealing with the sin issues in my life. The forms ask me to think about my sin, and how they manifest themselves in thought, word, and action. There are many additional forms provided to help root these sins out and do the hard work necessary do away with them. For example...after looking back at my admittedly sporadic journaling over the past two years, I've noticed that I very constistantly struggle with impatience with my children, especially in the afternoon. This usually involves me resorting to yelling, sending children to their rooms, or tuning them out all together. There are consequences resulting from this. One is that they sense my not wanting to deal with them or hear their concerns, and the second is that I am not dealing with their heart issues with the appropriate training and correction. When I realized exactly how far back I had been journaling about this same problem I was really embarrassed to have done nothing to deal with it, and to not have taken my sin seriously. It was time to pull out some of the other forms to help me study the issues involved in a more indepth manner. I realized that I was really not looking at myself as a servant of God, or my family, but looking at myself more as a person who deserved to be served, and have her desires (clean house, quiet and peaceful atmosphere) met despite the costs to others. I'm using these forms over the coming weeks to figure out exactly what thoughts and attitudes that I need to take off, and which ones I need to put on. These forms have really helped me to study scripture in an organized manner, and are helping me to not gloss over the truths without putting them into practice. I highly recommend this wonderful, incredibly priced resource. I think it is good for both men and women. My husband has been using it as well, and finds it very beneficial in his life. By both using the same resources, it makes it easy to communicate to each other about what we are learning, and we are able to hold each other accountable to staying on track and following up on what God is showing us. The bible reading plan starts up again on January 1st...I'd encourage you to order your own copy of Garden Tryst to make the most out of your quiet times in 2010. You learn something new everyday...I just learned to add hyperlinks to link the recipes in our dinner menu...if anyone wants to cook along with the Richards family, just click on the purple recipe title and it will take you to the recipe. Tonight it's cheese grits.....yumm. Not to brag, but my sister sent us the most awesome Christmas gift for families with little kids. This little beauty is a instant gratification lover's dream. 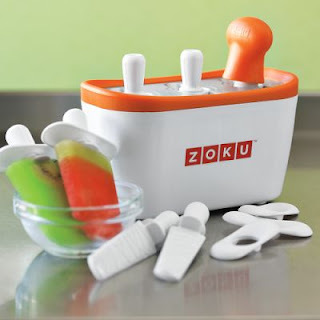 It makes popsicles out of healthy ingredients almost instantly. You can even make them stripey or fill them with cream or yogurt. You just keep the insert in the freezer for at least 24 hours (ours lives in the freezer) and you can make up to 9 popcicles without re-freezing it. What a great way to use up the last bit of the smoothie in the blender! There is a great video at William Sonoma that shows how it works. My sister gave me the heads up that it was coming, so when it arrived, Brendan did surgery on the beautifully wrapped package to remove the inserts and hide them in the freezer, as we figured that as soon as the present was opened on Christmas morning the little people who live in our home would NOT want to wait 24 hours to make these beauties! It was a good call, because they all decided that the special juice I bought for Christmas had to be made into stripey popsicles for breakfast. I think we have a new Christmas breakfast tradition on our hands. And can I just add that my sister is such an awesome auntie that she didn't want any of her neices and nephews to have to wait even a few minutes for a popsicle, so she sent TWO!!! So, if you stop by this summer, make sure you ask to make yourself a stripey popsicle. It is way too much fun! Oh, it's scary long ago since I posted....I'm so embarrassed...kind of like the friend you know you should call, but then so much time goes by that you feel stupid making the call at all....know what I mean? Anyway...I pledge to blog more, because I love the record it leaves of my life with 5 little hilarious people and one big one who is just as entertaining. So much has happened in the last 6 months! We spent most of it homebound because of a pregnancy complication. I was diagnosed with a complete placenta previa, and was told to expect a c-section. Miracles abound around here, and sure enough, God, in his infinate mercy and goodness, chose to move it safely out of the way. My doctor said that it was a "once in a lifetime" miracle, and gave God all the glory. After that scare was over, the good doctor confined me to the house for the remainder of the pregnancy because of the H1N1 scare, which could have been deadly for myself and the baby, since I was unable to take the vaccine. It was hard being isolated, but nice to be home and not running around as much. 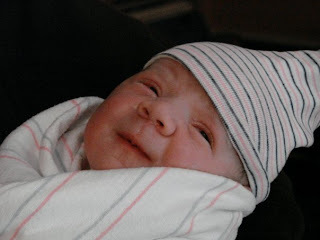 It was all worth it when Rosalie Jane came into the world two weeks early on November 9th. It was a beautiful birth and we are both healthy and well. She is six weeks old and slept a 7 hour stretch last night, which is so awesome! (it's a crying shame someone else got up at 2am requiring my attention - I didn't get to take advantage of the sleep!) 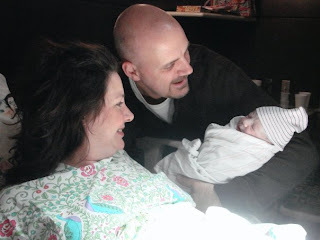 I'll leave you with a picture (or three) of our new sweet girl and will post her birth story soon. Come visit Becca's newest idea!!! Becca has Christmas on the brain 365 days a year, and has requested that I partner with her on her new blog Creative-Christmas Everyday we are posting great ideas for getting ready for Christmas and making it a stress free holiday. She has christened this week "Purse Week" and will be demonstrating a different purse making technique every day. At the end of the week she will host a give-away for your favorite purse. So visit her and leave her lots of comments for her drawing!